Northumbria’s Police and Crime Commissioner (PCC) has today thanked police and partners for their help in finding a toddler. The two-and-a-half year old went missing from the Newcastle branch of Primark on Wednesday afternoon. 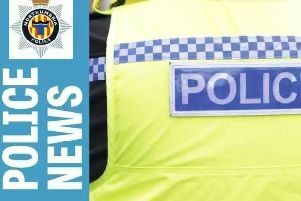 Two girls, aged 13 and 14 from Tyneside, are both charged with the offence of kidnap/falsely imprison a person with intent to commit a relevant sexual offence and they are also accused of theft from two stores. Earlier today, they appeared at Mid and South East Northumberland Magistrates’ Court. Vera Baird said: “None of us can imagine the distress the family and the toddler were going through. As Police and Crime Commissioner, I am proud of all our staff and partners who helped in the search. “Partnership working has proven so effective – the police, retail staff, council employees and the transport network, Newcastle University and Nexus have delivered. As Police and Crime Commissioner, part of Mrs Baird’s role is to hold the force to account when needed and to congratulate it when officers do a good job.